Chef, author and TV host. 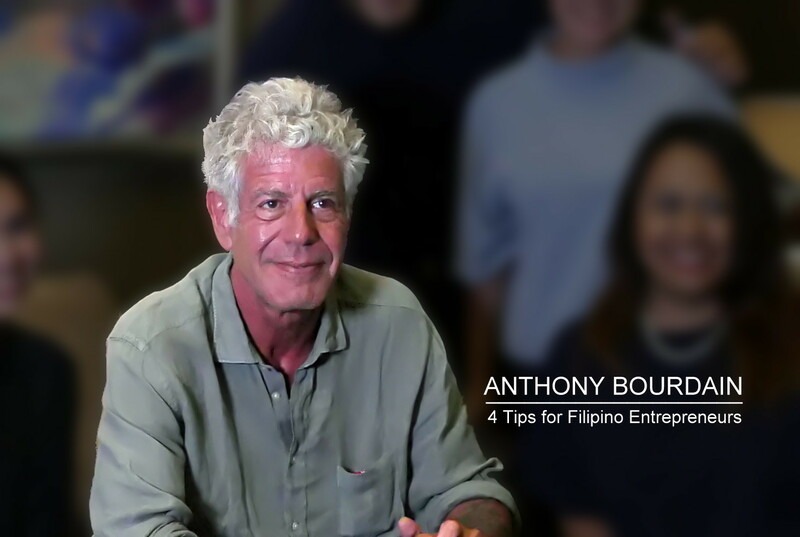 Anthony Bourdain comes to Manila and shares some lessons about street food business, and life in general. The first ingredient for the recipe of success is the YES to the question above. Is it delicious? This holds true for other ventures — is your product good? A measure to know if this is true, is when people keep coming back for your product. There’s nothing wrong with fusion. Classics being tweaked to make the original recipe more interesting, creative and even surprising. You can add those items to the menu, but don’t let go of the time-tested classics. Preserve original recipes the way our ancestors prepared them. This helps preserve and protect our culture and our roots. For the all-time favorites, keep them. For me, this can also be applied in other aspects. The quality of one’s product, I believe, should remain in tact regardless the situation. Whether the clients are good or unprofessional, whether there’s a big crowd or just a couple of patrons around, or whether the staff you work with are kind or toxic… the product’s quality should remain the same. Selling classics doesn’t necessarily have to be the end of the story. If one can create something based on a classic recipe and invent a new masterpiece, why not? If that’s your thing, then go ahead. While authentic dishes are good for our gastronomic heritage, adapting to change can also be helpful. That’s my take on what Bourdain was saying. For example, one can be very good at writing, but is not well-versed when it comes to technology… then he or she should learn to adapt. Many bloggers whose passion is writing have invested time and effort to learn about creating websites even if it drains the life out of them. Yes we should focus on developing our strengths, and though we have weaknesses, adapting is a very important ingredient to success. To learn new things. To embrace courage zone. To accept our weaknesses and improve on it, to support our strengths. 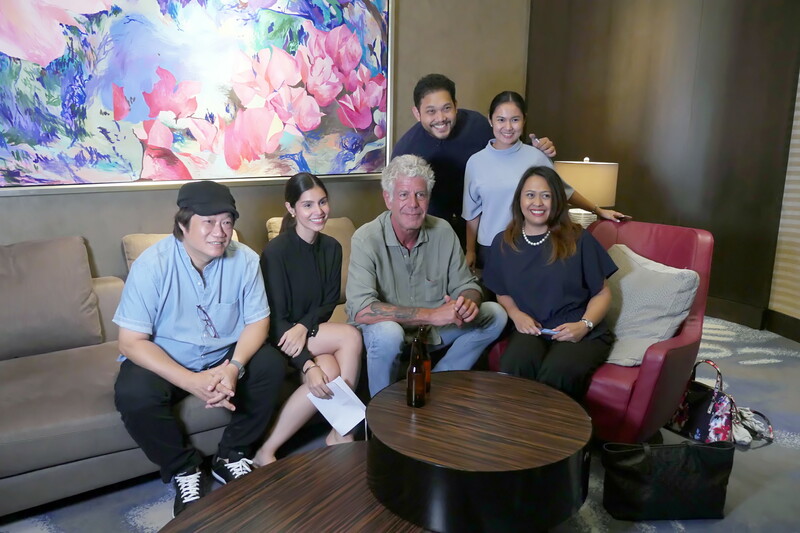 Photo courtesy of Globe myBusiness: KF See Toh, Creator and Curator of World Street Food Congress and Founder of Makansutra and WSFC 2017 Keynote Speaker and Renowned Chef Anthony Bourdain with: (seated) Globe Director for Video Content, Kat Ramnani; Globe myBusiness VP and Segment Marketing Head Debbie Obias; (standing) Globe Studios Director Quark Henares; and Globe myBusiness Digital Marketing Manager Raisa Ver.